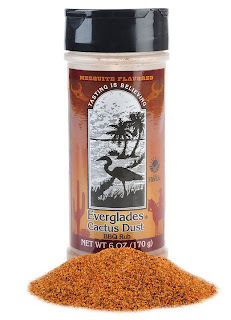 Cactus Dust is a savory Southwestern style BBQ rub produced by Everglades Seasoning. The blend is salty with a hint of spice and natural mesquite flavor. Cactus Dust can be used as a rub or as a finishing spice for a variety of meats. I used the blend on burgers and BBQ chicken thighs. Cactus Dust worked especially well on the burgers. No need to season them with anything else. The salt and savory spices provided just the right about seasoning for the grilled beef. The mesquite flavor was a welcome addition since I was cooking them on a gas grill. 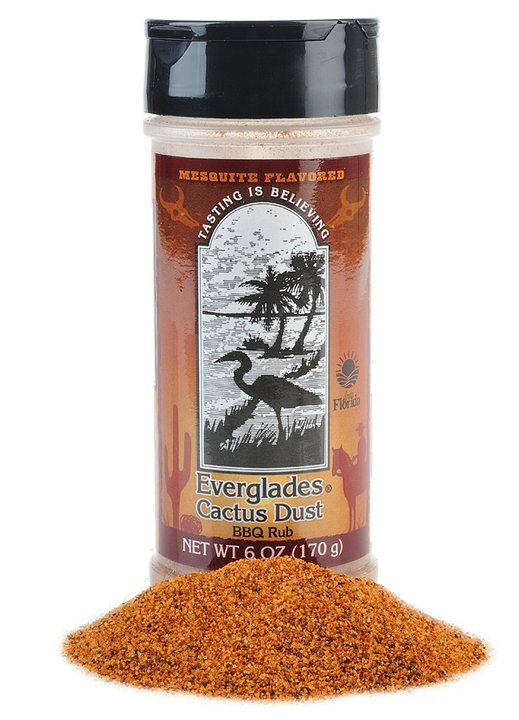 If you like flavor profiles typically associated with Texas BBQ, Everglades Cactus Dust may be just what you're looking for. It's a versatile product that will add an extra dimension of flavor to just about anything you're grilling. Learn more about Cactus Dust and the entire Everglades product line by clicking the title of this review. See how Cactus Dust rates compared to other spice rubs on the "Product Reviews" page. 2 Response to "Everglades Seasoning Cactus Dust BBQ Rub"
I put this stuff on everything from greens to ribs to beans. I wish they made a bigger container. They do sell 5lb containers ... Yup!